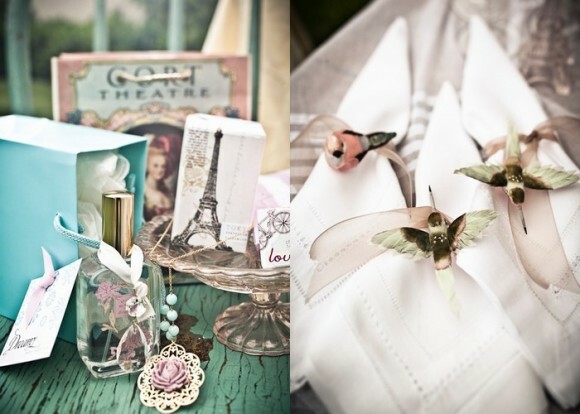 Let's face it, we all love to indulge in our favorite pastimes and what better way than to throw a vintage themed event. If you're stuck for inspiration on what sort of vintage event to organize then check out our collection of ideas to get your creative juices flowing. If you want to spoil yourself and your guests rotten, then nothing less than a vintage tea party filled with fancies, decadent eats and treats, and pure vintage glamour will do! Be whimsical in the woods, glam in the gardens, or decadent in the dining room, vintage tea parties can be tailored to suit you and your event. Whether it's The Great Gatsby, flappers, or Al Capone that you want to reincarnate for your event, the roaring twenties has plenty of inspirational ideas to draw upon. This era is not only in vogue right now, but its sensational style, swank and sound is sure to leave your guests wanting more. Who doesn't love to swoon over the romanticized 1950s? The quintessential get together for this smashing era was without a doubt the one and only sock hop. Poodle skirts, saddle shoes, and good old Rock 'n' Roll. 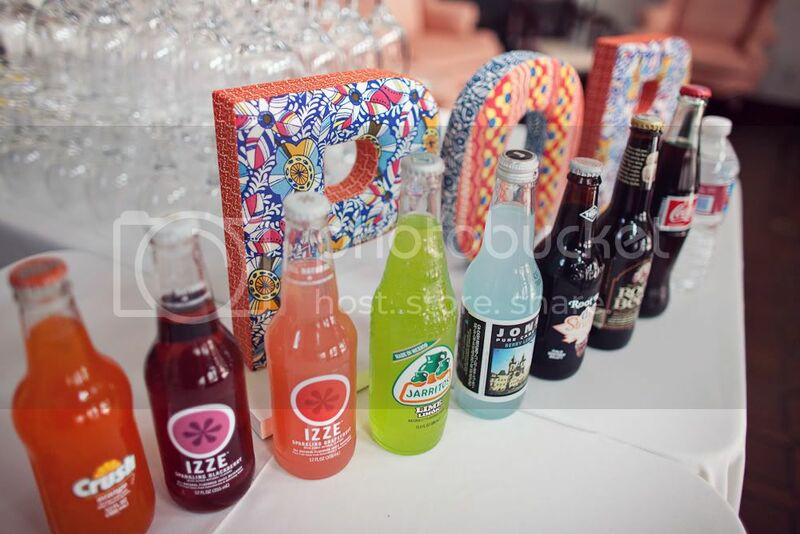 Don't forget to serve those soda pops! 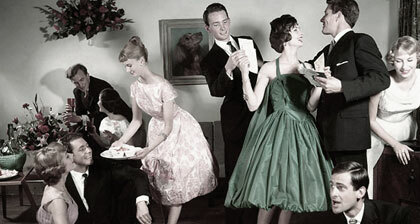 Whilst we're on the subject, it doesn't get more chic than a 1950s cocktail party. Picture this: delicious canapés, masterful martinis, and impeccably dressed men and women sporting perfectly pinned hair and polished shoes. Of course no party would be complete without the infamous cocktail cabinet or drinks trolley making its rounds. 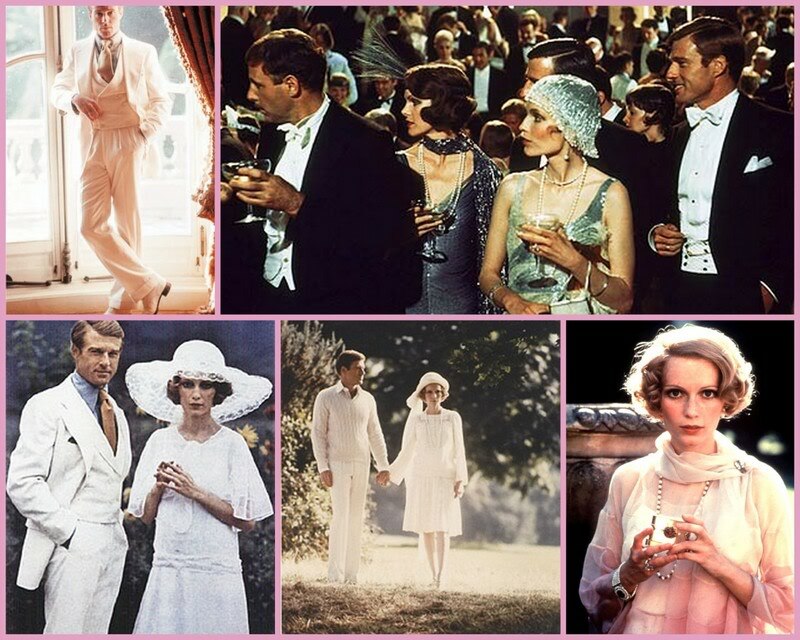 Whatever your event classic Hollywood is a theme that can work for any occasion. Think red carpets, movie clapboards, classy cars, and the infamous 'Walk of Fame'. Nothing says glitzy and glam quite like vintage Hollywood! Invites are essential for setting the tone for your entire event. Taking the time to get inventive with your invites will help build buzz around your event and get everyone in the party mood. For maximum impact you need to ensure your guests get the message loud and clear when it comes to dress code. Don't let them wimp out on getting involved and dressing up or you could end up with a total flop on your hands! We're not saying that you need to have a strict dress code that is 100% mandatory, but let your guests know that you want them to represent the era as best they can, even if that means them simply wearing a token trilby. Bring your event to life with some unique and authentic entertainment, after all this will more than likely be one of the main focal points of the occasion so whatever you do don't settle for second best. From an electrifying live jazz band to a raving comedian like the great Eddie Cantor, or if you're feeling really fancy maybe some audacious showgirls, whatever you choose it will be sure to give your crowd something to rave about! Don't forget to do you research when it comes to food and beverages. Try to find out exactly what sort of things would have been on the menu during your desired time period and recreate this as best you can. 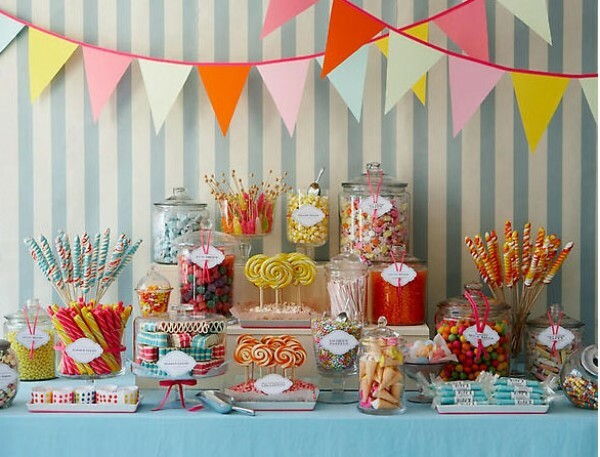 One outlet that may prove worthy for your vintage themed event are the old fashioned traditional candy stores that stock everything from gobstoppers to love hearts. What decor and props you choose to feature will be by far one of the biggest measures to the success of your event, so you'll want to make sure you get it right. Avoid tacky props from fancy dress shops or vintage party stores, and aim for real vintage decorations that have character and charm. Try looking round your local thrift and antique stores; you'll be surprised at what absolute treasures can be found there. If that is not an option for you, online marketplaces such as eBay or Etsy also hold plenty of treats so get bidding! If you want to add WOW factor to your event then going the extra mile with special little touches will show just how much time, effort and thought you have put in. It's easy to forget about the little things when you are planning a big event, but if you want your occasion to live on and be truly memorable you need to make sure you have every single aspect covered.